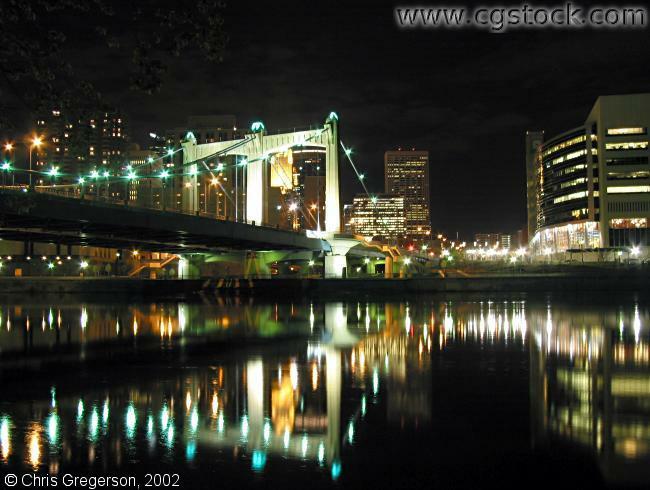 You are on Nicollet Island looking southwest at the Hennepin Avenue suspension bridge at night. On the right is the Federal Reserve Bank building. De LaSalle High School is behind you.